There are three age categories: 8 and under, 9-12, and 13-17. 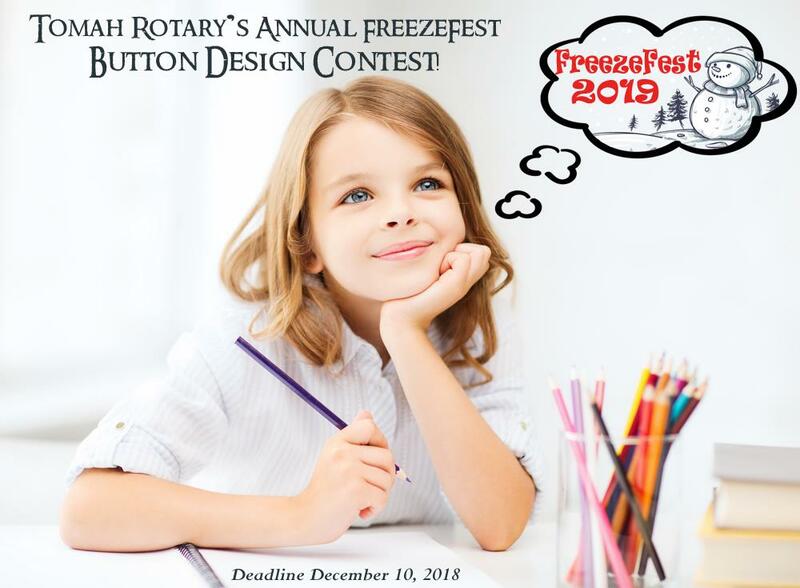 1 Winner from each category will receive a plaque, and the overall winner from the the contest will receive a plaque, a t-shirt with their design, and their design will be respresented on the official 2019 FreezeFest Button! The button must be a winter theme (no Santa, Christmas trees, etc. ), snowmen are allowed, and designs must stay within the design circle on the form. Deadline for submission is Monday, December 10th by 4:30pm.